The team here at Media Sound search and listen to numerous radio commercials from around the globe. It’s great for research and for inspiration, and to understand what has worked for what brands, industries and times. In a quest for research, we stumbled across Nando’s Chk Chk Boom radio commercial. A cheeky spin off of the lady who lied to Channel 9 News crew when interviewed about an altercation in Sydney’s Kings Cross. What Nandos did with this radio commercial was clever on a number of accounts. Firstly, this was a well known news story, and by creating a parody of news story, but representing their own brand, they undoubtedly captured listeners attention. It certainly helped this radio commercial go viral. Secondly, at the time when this news story was quite prevalent in the news and across Australian media, they were able to upload it to YouTube – and those who were searching for the Kings Cross Chk Chk Boom story would also be likely to stumble across this great piece of radio advertising. Great exposure. Thinking outside the square and being smart with your creative can certainly help you get leaps and bounds ahead of your competitors. Keeping abreast of current affairs and local trends can also help you come up with clever ideas that will help you better connect with your audience. Don’t lose focus though! When it comes to a radio commercial, you do need to focus on getting the right message out to your core target market. You don’t want to confuse them – so when you do come up with an idea, think of how it relates to your product or service and if it fits your company culture. 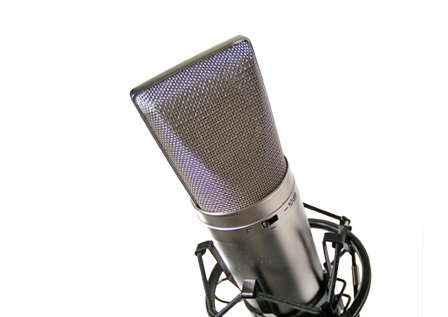 The team at Media Sound can help produce a powerful radio commercial for your next radio campaign. Contact us today to discuss your ideas, and we will help turn them into professional audio productions. This entry was posted in Advertising, Audio Production, Media Sound, Radio Commercials. Bookmark the permalink.